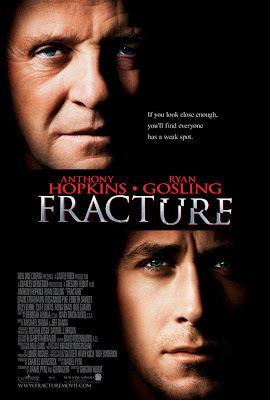 I had the opportunity this past weekend to rent a DVD and viewed Fracture, a spank'in good murder-mystery with the impeccable Anthony Hopkins leading the cast in an antagonist / bad guy role. I really enjoyed the film and can recommend it highly. I can also say that despite Anthony Hopkins being the murderer, I was rooting for him the whole film; he played a very charismatic and likable character. Ted Crawford (Anthony Hopkins), a methodical structural engineer, plans a systematic way to kill his younger wife, Jennifer (Embeth Davidtz), when he discovers that she is having an affair with a police negotiator. Crawford has logically figured a way to kill his wife and involve hostage negotiator Detective Rob Nunally (Billy Burke) into his plan. After Crawford shoots his wife, the police arrive and he allows only the negotiator, Detective Nunally, to enter the house. Crawford admits to shooting his wife and that she is lying on the floor in the other room. Detective Nunally checks Jennifer out to see if she is still alive, and then he recognizes that she is his lover. Jennifer was shot in the head, but she is not dead. Detective Nunally is able to overpower Crawford and put him under arrest. Crawford is arraigned and wants an immediate trial, acting as his own lawyer. With a signed confession and the gun, the Assistant District Attorney Willy Beachum (Ryan Gosling) believes he has a slam-dunk case and agrees to go to trial. What Beachum thought was a perfectly simple case ends up being a battle of wits and a psychological fight that takes him to his breaking point. TOP: Fracture, a good murder-mystery film. 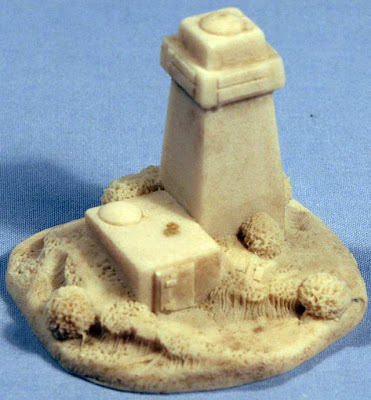 TOP: The Fore Castle & Front Mast Socket of my 28mm pirate ship. - Added three pairs of conventional lanterns custom-made from card and beads. - Finished two of the three sockets with railings for the eventual masts. 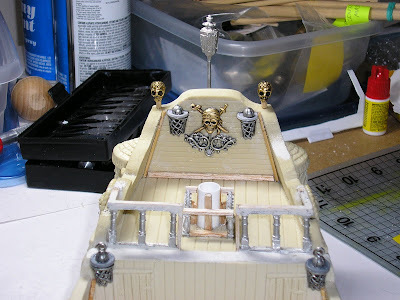 - Added two "skull lanterns" to the aft castle. - Almost finished drilling out the ship's grates. 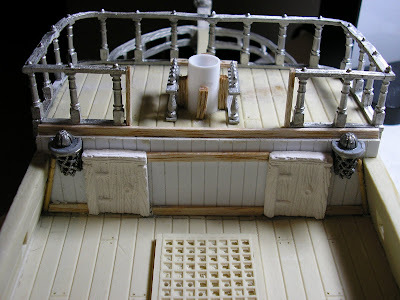 - Added balsa wood trim across various parts of the ship. ...placed to the sides of the central lantern. The project is coming along, but there's still plenty to do. 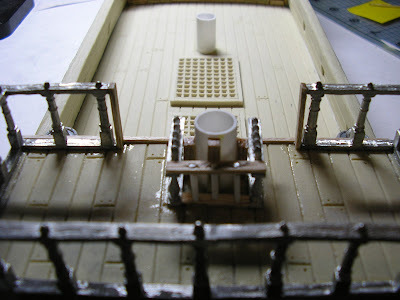 - Adding ladders between the central deck and the raised fore and aft decks. - Adding the railing to the central deck mast socket. - Building the three masts along with crow's nests. - Adding balsa trim to much of the rest of the ship. - Adding magnetic stripping to the aft and fore castle cabins. - Adding steel paper to the bottoms of the aft and fore castle decks. - Basing the entire waterline ship on a piece of plasticard. 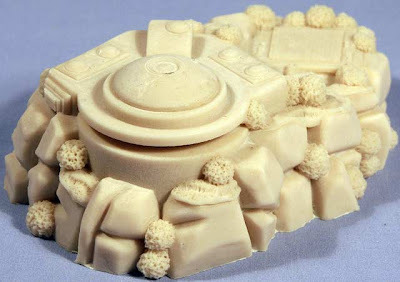 And being that real sailing ships required far more labor and skilled construction hands than my simple resin miniature, I can only imagine how much labor went into their construction. The rigging alone is tough to imagine putting together. I'm gaining new respect for the sailors of yesteryear. TOP: Epic-Armageddon, being played locally AGAIN! Epic-Armageddon was being played AGAIN! 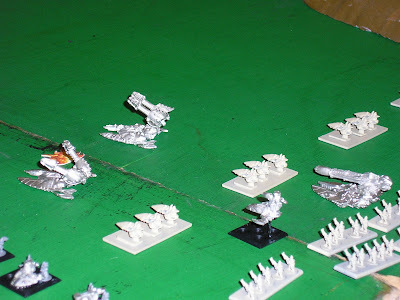 TOP: A 6mm sci-fi Eldar army masses for an assault. I was pretty happy about that being that Epic-Armageddon (E-A) is one of my favorite games and both players are friends of mine, another welcome sight. 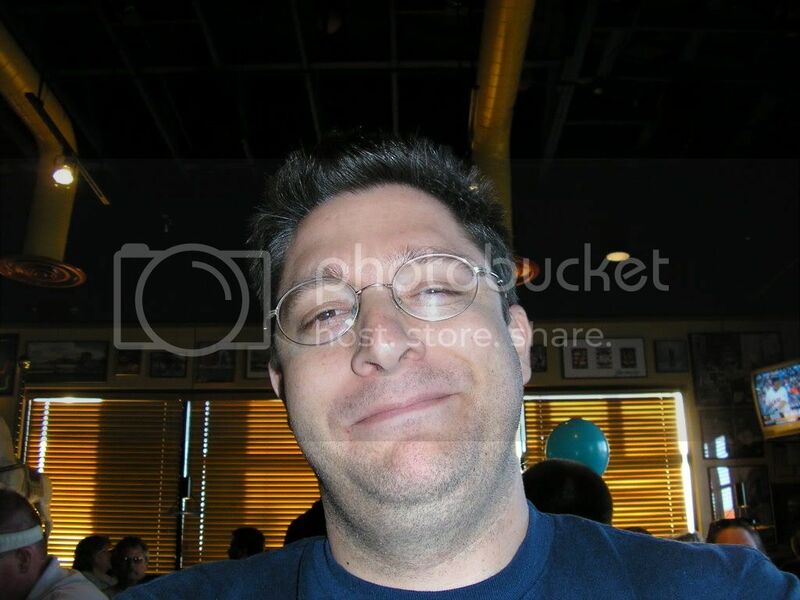 TOP: Eric "Chern" Royer, Space Marine Chapter Master. TOP: Aaron Morneau, Master Eldar Tactician. Aaron is talking about creating a local E-A league and he and Eric were giving E-A a spin to re-evaluate it ...after all this time. 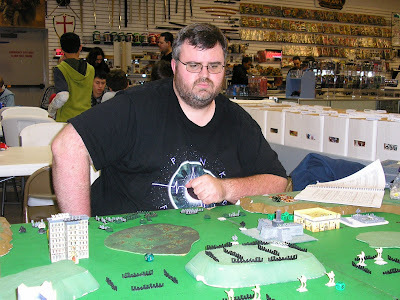 Aaron is also interested in playing Battlefleet Gothic again... 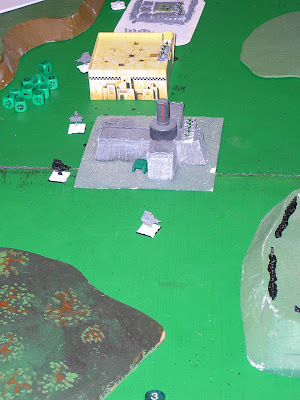 Both of which are fine by me since I have un-loved painted miniatures for both games that would love to see action again! 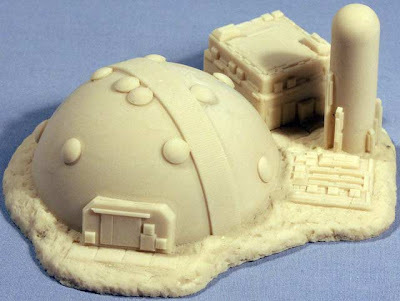 TOP: A fourteen-year-old Space Marine bunker! Eric made it while in the U.S. Navy. 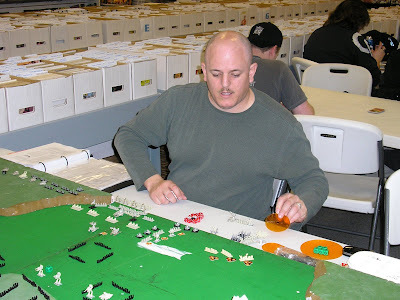 Eric is still maintaining his wonderful web site for those interested in a variety of cool materials for Epic-Armageddon and the Babylon-5 space games. 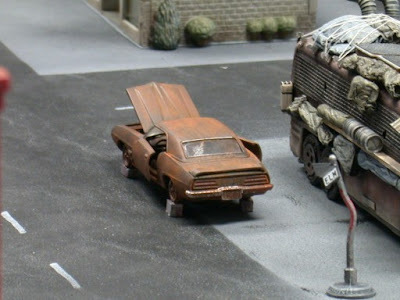 Good news for the 6mm sci-fi scene! And if you're a Yank, enjoy the three-day MLK Day weekend! 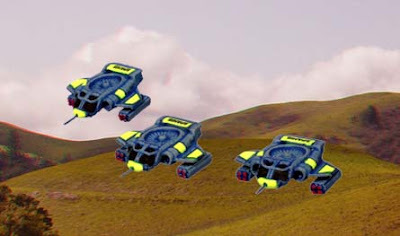 TOP: 6mm sci-fi Command Horizon fighters with new 6mm ordinance. Still very busy, but I took a breather moment to share the latest and greatest in 6mm sci-fi with you... Command Horizon (CH) has all kinds of new goodies coming! Time for a quick update of what will be happening with the Command Horizon ranges this year! Firstly, there is a new release. The first of the accessory packs for the Human Skim and Aerospace fighters is now available, enabling you to add extra armament to your models. Igor's already equipped a couple of units with them. 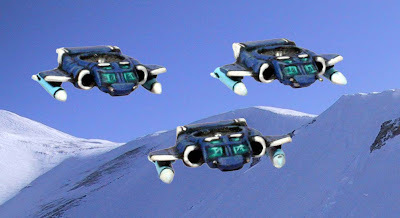 TOP: New 6mm sci-fi Command Horizon fighter ordinance. 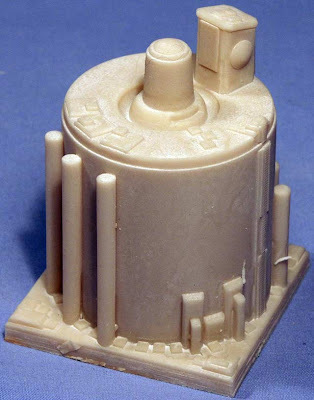 CHH23 - Aerospace Weapons Twelve (12) sprues per pack. The New Year seems to have kicked in several dormant circuits in Igor's brain as he has been tied to his keyboard feverishly working away on updating the Command Horizon rules, and a new version is not far away now. This year, we will continue to expand both the Human and the Centaur ranges. Both will get more infantry variants, combat engineers and aerospace craft. There are also some very nice larger models for both races on the design bench, so be prepared for some spectacular additions later in the year. 2008 will also see us add the third race to the range. For all you fans of things that slither, the Worms are coming. We'll be attending both the Vapnartak show in York on February 3rd and the Hammerhead SF and Fantasy show in Newark on February 10th. If you want to place any pre-orders, please do get in touch. If you want to ask any more questions about what we've got planned, come and have a chat. “On a Friday night, no less! Why can’t these things eat people at nine in the morning? Recon In Force (RIF) is Back! My buddy, Vynnie, had some hosting problems but RIF is back and hopefully with its former problems solved. TOP: A car sits on blocks at the corner of Elm street. "Humanity At War: 2100 AD"
Snapdragon 6mm Sci-fi is BACK! I'm very excited to share this news! 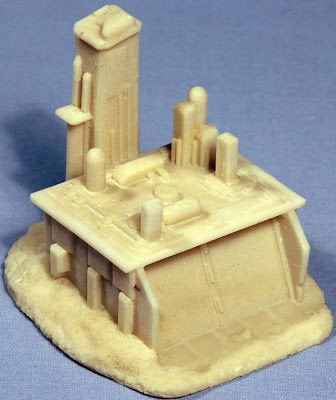 These are the same buildings that were so prominently featured in the 1990's Dirtside II rule book, the later edition Battletech Miniatures Rules, and the tables of many a 6mm sci-fi player! Yeah! Joy and good tidings! Perhaps robo-harvesters are stored here? I bet ol' Ming even left graffiti on the wall. Everyone needs a watch tower, right? All I can add is that I hope that they are back for good and also plan to throw some currency their way soon as a show of support. TOP: Happy New Years 2008! I've had a busy last couple of days and been away from computers, E-mail, and blogging. It's been fun and full of a little fright as well... one of my friend's daughters had a recent very serious asthma attack, as in the kind where you go to the emergency room, so that's caused me to lose a bit of sleep although it's always good to help out a friend in need. I'm very much looking forward to the new years. Last year was great... I got so much done hobbying, miniatures and game-wise. I hope to make this year as successful with an impending 28mm pirate ship project coming to fruition, 28mm WAB armies on the horizon, 28mm WHFB armies for my nephews and I, a 6mm kaiju project, and much more. 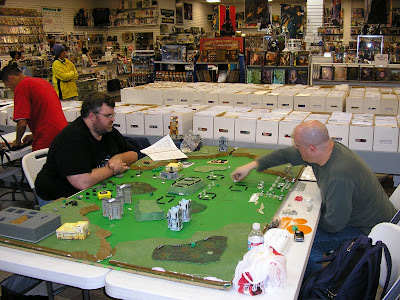 I hope that you, my reader, get as much as or more than I have from our shared hobby of gaming and miniatures! I'm also up for a new job promotion which should be very good for me if I can get it. Constant job interview panels, application writing, and work projects have kept me very busy... wish me luck! 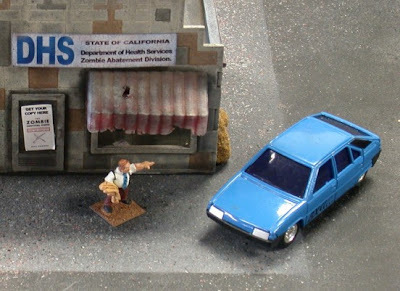 Although I haven't forgotten about the focus of this blog being board games & miniatures so I have much in store to share soon: more 28mm pirate ship photos, a Battle Report from the December MWS gaming club meeting with lots of photos, more 28mm undead, some 6mm sci-fi, and much more. I'm not sure if I'll be able to keep up my posting goal of four to five times a week in the next few weeks, but I'll try and what I do get posted should promise do be very good. Thanks for being my reader! 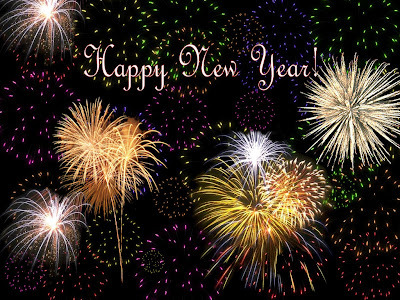 I wish you all the best in 2008! And Happy New Years 2008! Notes regarding photos / pictures / videos: These are not all my images and videos. I am using various images and videos from around the web, mostly from public sources and/or private sources used with permission. I have tried to include only images and videos under public domain, creative commons, or fair use. If I have inadvertently violated any copyrights.